after much back and forth, it looks like the fight with ricky hatton is on for may 2. should be a great one. still, it looks like manny's success was getting to him, i hope it doesn't affect negatively his performance, and that he will fight several more fights before retiring. also, there's a lot of potentially great fights scheduled in between, so it should be an awesome first half of 09. I think Manny will beat Hatton pretty easily. 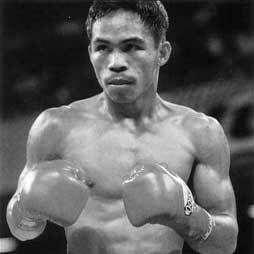 If Mayweather could knock him out, Manny should have no problem. The only way he'll lose is if he doesn't try to defend at all and Hatton catches him with a big shot. Everybody is already anticipating his fight with Hatton..Could be his last two fights before retiring and run for public office... He really wants it to I guess. do you think he would be good at being a politician? I know the stories of him being really generous and helping out poor communities but do you think he'll have success running for office? as far as i know/understand the filipino people love the guy, and he wouldn't have problems being elected to a big public office post. but i don't know how good he could be at actually managing. i don't know what kind of credentials he could bring, is he really prepared to take on so much responsibility? throwing punches in bunches has worked for him in boxing, but throwing money in bunches is not an effective way to run a country. He lost running for a congress seat in 2006, by a large margin at that. But still he wants to run even for a local position. His lack of knowledge in administering probably gave him some problems while campaigning. And by losing he realizes that people are wise now in electing officials. I think he learned a lot from that experience (and lost a lot of money for sure). Some news that because he got a GED for High School a year ago, and he might finally study for college. I think Manny is really keen in helping the poor people from his province but still he lack something to be a politician. Another training perhaps(?) for his post boxing career. that's interesting. i know he ran for something but i didnt know the other details. Pacquiao is very inspiring for everyone, not just filipinos. its good that the philippines is being logical in finding the answer to their political woes. saw the first episode of 24/7 yesterday. it PUMPED ME UP for the fight. it's gonna be awesome. this is gonna be one hell of a fight. manny should take this one by unanimous decision. ok...this is getting close so here is my prediction. Pacquaio by KO in the 9th round. I'm going to predict a 4th round KO by Manny. I don't see this thing ending in anything other than a KO no matter who wins. I just don't see Manny losing in front of his mother. 4TH ROUND, HUH? nice prediction but your giving manny only 12 minutes to beat hatton...thats bold. his mother or his whole nation? I think last time I went to Vegas, every other cab driver and hotel employee was Filipino. They should probably consider Vegas a non-neutral site just because of the huge Filipino population there. Then again...Filipinos are everywhere these days...even in the UK. wow... i think it would be a lot more likely for manny to go down in four than hatton. i don't think manny has that kind of power at 140, it's mostly the speed and accumulation of punishment that usually does the trick for him. plus, hatton is not going to be a punching bag like de la hoya, especially since he's been working with mayweather sr... and the guy's got some speed too. i've often been wrong before regarding boxing though. that's what keeps it fun, you never know what can happen in the ring. i just want pacquiao to win because hatton is so unlikeable. he seems like such a wanker.